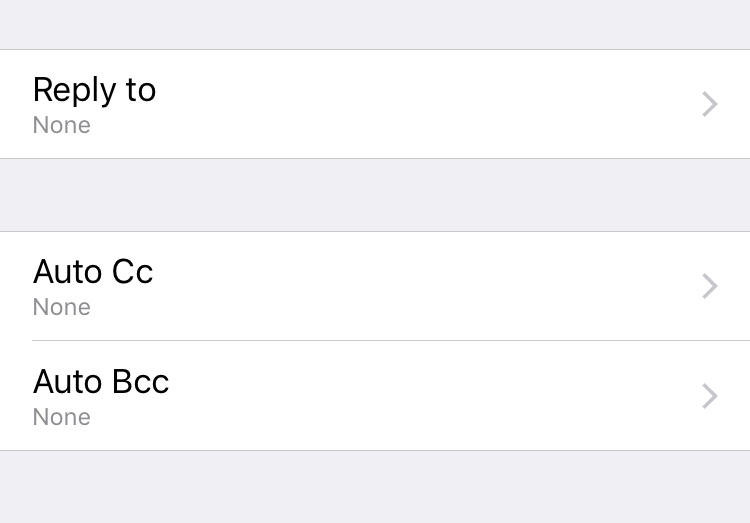 This option allows you to automatically insert that account into cc all the time. The default value is None, which is disabled. Added Agenda's split view on Tablet. Changed ‘From’ to ‘To’ in the Sort options of Sent items. In Tablet or iPhone plus model, you can use a view that combines agenda and month view modes. It's called the split view. This is a split view mode that allows you to view the monthly schedule in its entirety via the monthly view and the agenda view. 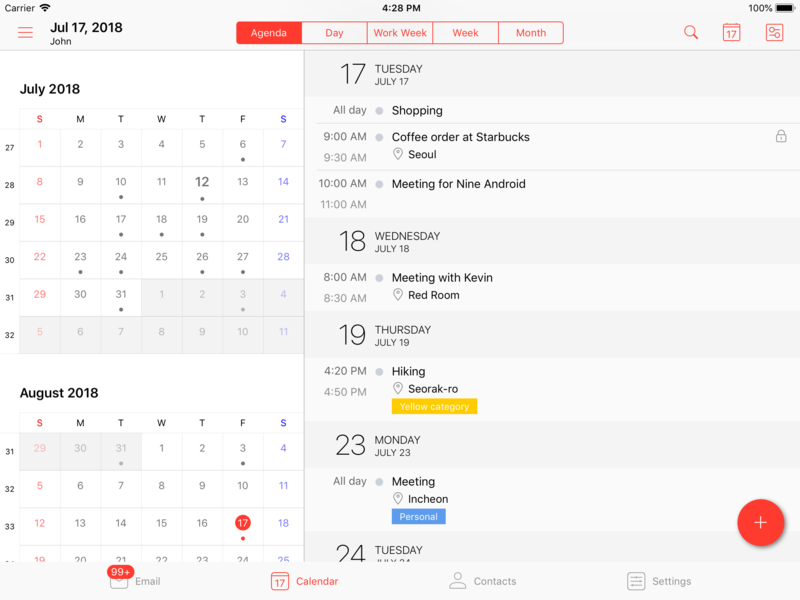 For example, if you are in using the Week view, and you select an Agenda view in landscape mode, it will switch to a split view that shows both the monthly view and the agenda view.